How Do You Take A Picture? 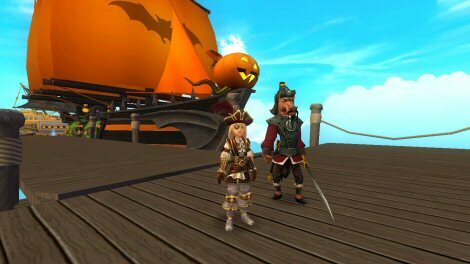 During our Tribal Pack Give Away Contest, we received some questions about how to take a picture of your Pirate in Pirate101. It’s actually pretty easy to do. But there are many ways to manipulate the image so you can take the picture you want. 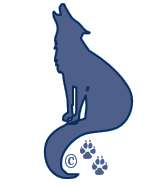 We of course use our pictures here on A Pirate’s Portal, and our sister blog Fireheart’s Keep. But we also use these pictures in our PC screen saves as keepsakes of our animated family and adventures. You can share your pictures with friends, put them on your cellphone, or set them as your desktop image. Whatever you’d like to do; it’s fun to keep track of your favorite Pirates, pets, mounts, companions and more! 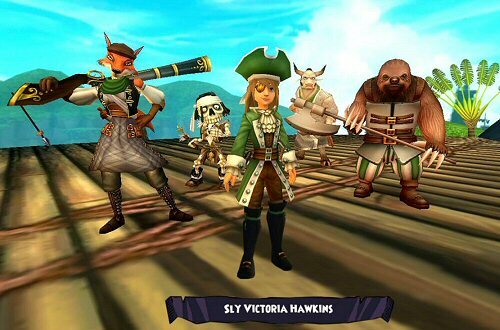 Here’s a few tips we’ve learned over the years with Wizard101 that have been included in the Pirate Spiral as well. The first thing to know is how do you take a screen shot image? Simply hit PF12 and you’ll take a picture of whatever is on your screen at that moment. 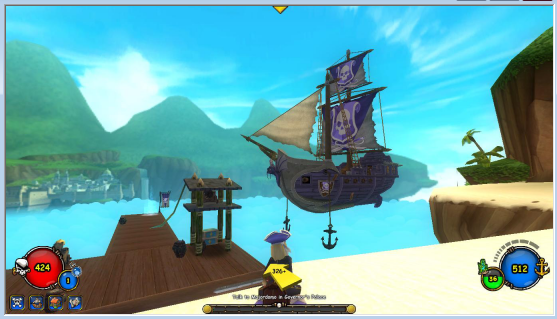 When you take the picture, Pirate101 will actually tell you where it put the image file with a pop-up message. However – if you are looking at a window, such as your backpack or the map, you won’t see this notification because it will be behind the window. 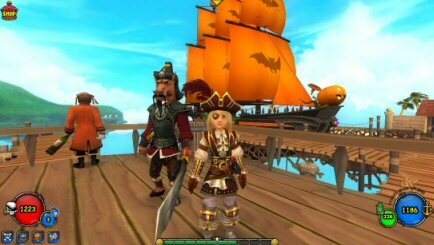 We had a lot of questions from people about how do players take pictures of their pirate from the front? That’s done by using your mouse. If you click and hold the left mouse button, and then move the mouse left and right, you will move the camera angle around your Pirate. If you move the mouse forward and back, you will change the view up and down. But don’t let go of the mouse, or you’ll move back to the original view behind your Pirate. You can move your character with the arrow keys while you’re in this view. That can help you position your pirate for the best picture. If your mouse has a roller ball, you can use that to zoom in and out. If you don’t have that, but you have a mouse touch pad, you can use that to zoom in and out. One thing that can mess up your picture is the giant yellow arrow on their feet, your health and ships health are in the shot and it simply takes away from your portrait. Press Cntl+G and everything extra goes away. Press F12 and you can take a clean picture. Press Cntl+G again and everything comes back. Here’s what you see in the game. There are many graphics tools you can use to modify your picture once you have it. There are tools that come with Windows that will do the trick. I was asked what we use and that would be Paint Shop Pro version 8. This is a version of PSP created by JASC. They have since sold the product to Corel. But you can still find the original product on eBay and from resellers on Amazon. With a good graphics package you can do all sorts of things with your pictures. I love the pictures of my Pirate Captains after they rescue RatBeard at the Waponi Wu Volcano. You get a shot of your Captain with their whole crew right before RatBeard becomes one of your companions. When I arrived in Port Regal, I noticed the guard wall is a great place to capture a crew portrait. It takes a little work, but you can grab a picture of your pirate with your favorite crew mates, then cut and paste them into the shot for a “family portrait”. We use our pictures in our screen savers, in our blogs and I even have a few on my phone’s photo album. Hope this helps everyone enjoy their special Pirate Captains! ← News – Special Tribal Pack Give Away #2! !